These distinctive globe awards will grace any awards event or presentation. Exclusive to this website, they feature a sphere created by a gold plated metal structure overlaid with a metallic world map in a Mother of Pearl effect finish. 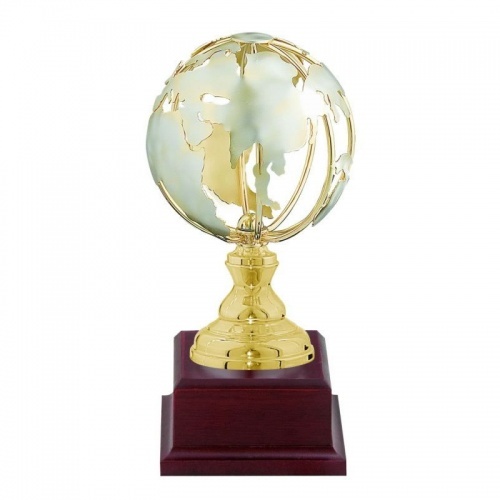 The globe is mounted on a gold plated column which is set on a square-shaped wood base. Engraving can be supplied via a plate attached to the base. Overall height is 9.75in / 25cm. Offered with low, fixed-cost text engraving and free logo engraving.